Ladies and gentlemen, the best deal in e-book readers is back just in time for Thanksgiving Day and Black Friday 2018! 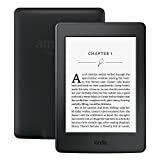 Amazon’s Kindle Paperwhite E-reader is the best all-around e-book reader that has ever been released, but the best comes with a fairly hefty price tag. Anyone who owns one will tell you that it’s well worth the $120 price tag, but why pay full price if you don’t have to? Snag one now while it’s on sale for Black Friday and you’ll only pay $79.99!